With Bastille Day being celebrated on July 14th, and the magnificent and dramatic bike race, the Tour de France being battled out as this is written, it seems fitting to pay tribute to the home of these events. Since January 2016 when a territorial reform was undertaken, France has been split into 13 regions, with each region being further split into departments. We have devised a tour of these regions, choosing one of our favourite cheeses from each along the way and pairing them with a great accompanying drink. Perfect inspiration for devising a French cheeseboard! Our Tour is starting in the Grand Est region which comprises Alsace, Champagne-Ardenne and Lorraine. In places, the area has a strong German influence and is punctuated by fabulous examples of gothic architecture such as Reims Cathedral. 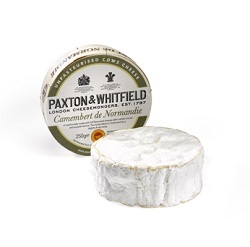 You are spoilt for choice here with some exceptional cheeses, but for the Paxton & Whitfield Tour we have chosen Langres, a sticky cheese with a savoury meaty flavour and a slight alcoholic tang emanating from the pale orange rind. The cheese is double washed, firstly in annatto to help the cheese’s distinctive colour, and secondly in Marc de Bourgogne, an eau de vie made from the skins of Champagne grapes. 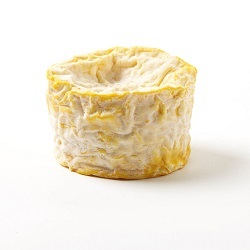 The Langres has a distinctive dip in the top into which you can pour Champagne before serving. Home to Renaissance palaces and stunning fine wines, the region is borby the Jura Mountains. 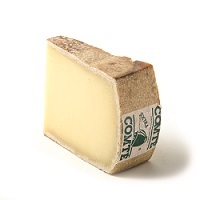 Within a collection of high quality cheeses, we have chosen Comté to represent the region. Originating in the 12th and 13th century when monks cleared the plateaux high in the mountains, exposing meadows ideal for grazing the cattle in summer months once the snow had melted. Rich with grass and mountain flowers the milk was particularly nutritious and so by combining the milk from their cows, local farmers would make large wheels of cheese, weighing approximately 35kg, which would store the rich milk over the winter months. This was the formation of the co-operative. Comté is sometimes crystalline in texture and has a caramel nutty flavour. It pairs beautifully with Vin Jaune or Pomerol. With its capital city of Lyon, Auvergne Rhône-Alpes is next. Known for its excellent ski resorts and spa towns, it is also the home of Fourme D’Ambert. This is a cheese protected by a designation of Origin (PDO) which insures that the cheese is made within its specific geographic region, using the milk from cows fed predominantly from grass from the local pastures. It is one of the oldest recorded cheeses with records showing its existence in the 8th century. 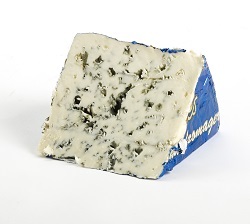 Fourme d’Ambert is gentle in taste and fruity while creamy in texture but firm. Best enjoyed with a slightly sweeter white wine such as Sauternes. Moving on to Provence Alpes Côte d’Azur, there are lavender fields bordering the Mediterranean Sea and Roman ruins above vineyards. This is a popular tourist area due to its beautiful countryside. It is home to Banon, the iconic goats cheese which is wrapped in chestnut leaves. A stone’s throw across the sea from here is the Island of Corsica. Predominantly mountainous, it is an ideal habitat for goat and sheep who forage through the thick mountain scrub, and this is reflected in the cheese made on the island. Fleur de Maquis is a soft cheese made from the milk of the lacaune ewes found on the island. Wrapped in native herbs such as rosemary, fennel seed and juniper berry, the cheese are sweet when young and moist with a hint or sourness. As they age they absorb the herby tang from the rind and become more savoury. The cheese can be enjoyed with a Chinon. Back across the sea is the region Languedoc-Roussillon Midi-Pyrenees, or L’Occitanie,headed by Toulouse. It is a varied region which holds Mediterranean beaches, the beautiful and wild Camargue complete with its bulls, flamingos and wild white horses and the mountain ranges of the Pyrenees and the Cevennes. 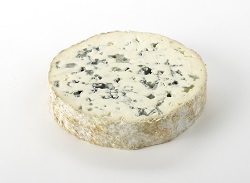 Roquefort is from this area and again, is protected by a PDO. Caves under the ground in the Comalou plateau in Aveyron called Fleurine hold the perfect temperature and humidity for the maturation of this salty sweet sheep's milk cheese. Try it matched with a Tawny Port. Moving North there is the largest administrative region of France, now called the Nouvelle-Aquitaine. It covers the land from the Spanish border to la Rochelle and is therefore an exhilarating mix of bustling resorts in the Basque area to meandering rivers and sunflower fields in the Dordogne and Lot-et-Garonne. Here you will find the hard ewe’s milk cheese Ossau Iraty. Made from the milk of the distinctive black-faced Manech sheep, it is one of only two PDO protected sheep milk cheeses in France, the other being Roquefort. Fruity in flavour with caramel notes, this is a noteworthy cheese to add to a cheeseboard and pairs nicely with a Pouilly Fumé. Swinging away from the coast to the South West of Paris is the Centre Val de Loire. This region is the most visited of the Loire Valley and includes the Forests of the Sologne and the valleys of the Berry area. Here, fantastic goats’ cheeses can be found, including Selles sur Cher, a bevelled disc shaped cheese which takes its flavour from the milk of the goats which graze the vegetation growing on the sandy clay soil. The cheese can be nicely paired with a Rose de Provence or light Cabernet Franc. Back Eastwards towards the coast is one of France’s newest regions, Pays de la Loire. With its capital Nantes, it covers the areas to the South of Brittany and Normandy and the lower stretches of the River Loire. It is famous for its salt production, being home to the Sel de Guérande. There are not many artisan cheeses produced here in quantities for export, but the Curé Nantais is a delicious cheese is you can find it. Said to be named after a priest who was trying to escape persecution during the Revolution, this cheese is matured on spruce boards in wet cellars whilst being regularly washed in salt water. It is quite strong in flavour and fruity to taste. Great when paired with Muscadet. Bretagne, or Brittany, is on the Atlantic coast and is dotted with fishing ports. It has a strong tradition of music and folk festivals which celebrate its Celtic heritage. Again, it is not the most prolific of cheese making regions but has recently become one of the few places where French Emmental can be made, although it is not protected by a PGI (Protected Geographical Indication) unless being made in the Savoie. Distinguished by its massive size and large holes which punctuate the inferior, the cheese is sweet in taste and nutty. Perfectly enjoyed with a Riesling to balance the cheese’s acidity. Normandie, set in the North East of the country is well known and loved for its white chalky cliffs and the stunning Notre Dame Cathedral in Rouen and Huge gothic abbey of Mont Saint-Michel. It is home to a host of much-loved cheeses such as Livarot, Pont L’Eveque and famously, Camembert de Normandie. Arguably lesser known is the luxurious Brillat Savarin. Originally made by Henri Androuet, the cheese was devised in honour and named after the famous Gourmand. The cheese is light, almost mousse-like in texture but very rich due to the addition of cream to the milk. It can be paired well with a pale ale. Paris is the regional city of the île de France which is the home of Brie de Melun. 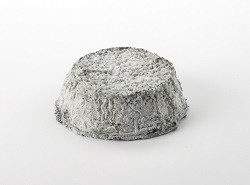 Smaller than the well-known Brie de Meaux, it is said to be older at around 1000 years of age. Beautifully matched with a Gaillac, the cheese has a musty, straw-like smell and salty mushroom taste. Our Tour finishes in the Hautes-de-France which is made up of the Nord-Pas-de-Calais and Picardy. Made up of agricultural land, vast sandy beaches, natural parklands and forest the area is wonderfully diverse. It is also home to the stunning Mimolette, or the Boule de Lille, so called due to its unmistakable ball shape. It has a remarkable pitted rind due to the work of cheese mites which help lend an earthy but sweet, caramel flavour to the cheese. The interior has a bright orange colour from added annatto, which turns a little darker and browner as the cheese ages. Delicious! Try it paired with a dry white wine such as Sancerre to balance the sweetness of the cheese.